Peak Badwater Training began with a nice week of running, including 23 and 18 mile runs on the weekend. Strength training has been re-incorporated in to the overall plan (we will see how long that lasts). 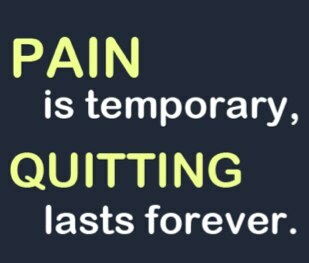 The next few weeks are important as a build up to “Badwater Training Camp” that takes place from June 1 to June 5. 4:41 AM – 9.30 miles in 1:28:50 (9:33 pace) on local roads. It was one of those mornings…you know, following a night of tossing and turning (surely stress related, and partially due to being wound up still from the Rangers loss in Game 2 of the Eastern Conference Semis to the Caps)…where you just know that there is some misery waiting for you as you take that first step out of bed at 4:10 in the morning. The “misery” was some seriously heavy rains, not so much during the 15k easy recovery run, but more so after…that wet, soaked, skin shriveled feeling. Personally, I like running in the rain, light or heavy. But, when the lightning comes (as it did towards the end of today’s run), that’s when I call it. 7:54 AM – 9.50 miles in 1:32:40 (9:45 pace) at Rockefeller State Park; followed by an hour or so strength training. Something about “work from home” days makes me smile, especially when the “home office” turns into trails and the gym. After running with Wayne at Rockefeller, we hit the gym for some strength training that included over 200 pushups. 5:07 AM – 7.00 miles in 1:05:07 (9:18 pace) on local roads. Continue to try to keep running pace consistent throughout training runs…today was a gone with splits of 9:32 (warm-up), 9:16, 9:16, 9:08, 9:15, 9:19 and 9:17. It was extremely difficult getting up and out the door this morning, with all the blame resting on the Rangers triple overtime win over the Caps in Game 3 of the Eastern Conference Semis. The game itself ended shortly after 12:15 AM, but by the time the post-game coverage put me to sleep, it was well into the 2 AM hour. 8:14 AM – 7.20 miles in 1:07:00 (9:18 pace) at Rockefeller State Park; followed by another hour of strength training at the gym. Running at Rockefeller State Park is pretty amazing. There are miles and miles of trails to choose from, some marked and some not. You can easily get lost in there if you don’t know where you are headed (and how to get back). Today was an awesome day at the park due to the serious thunder and lightning storms we had overnight. It poured and poured virtually all night long, but cleared up in time for my run. There was plenty of wildlife to see – coming out after the rains. Tomorrow will be about a 3-4 hour run with Brennen again (like last Saturday). 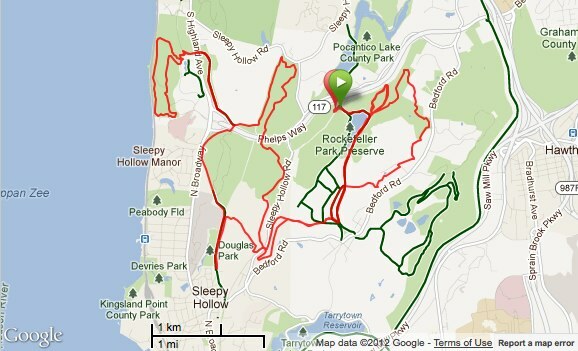 6:51 AM – 23.00 miles in 3:46:48 (9:51 pace) at Rockefeller State Park with Brennen W. and Wayne B. 5:51 AM – 18.00 miles in 2:48:51 (9:22 pace) on the North County Trailway w/Micah. Typically, the 2nd long run day of the weekend is the most important, and provides a good sense of where things are leg-wise and endurance-wise. Today with Micah was perfect…a nice, conversation run during which we got to plot out our plans to join Todd Jennings for the 8th and final day of his Hudson River Run (May 19). Todd is running the entire 315-mile length of New York’s Hudson River in an effort to bring attention to the need for clean water. You can find more information about, and make a donation to, his cause on the Hudson River Run 2012 website.